Beautiful, eco-conscious design is at the heart of everything that multi award-winning, Miami-based architectural and interior design firm Pepe Calderin Design touches. So when Pepe discovered ethanol-fuelled EcoSmart Fires it was a defining moment. “Nature and the environment are a big influence on my designs, so the fact that EcoSmart is so eco-conscious was the icing on the cake,” he says. 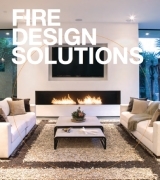 Pepe, who specialises in both high-end residential and commercial projects throughout the US, has utilised EcoSmart Fires in a number of projects on the east and west coasts, including a magnificent home on Fisher Island off Miami. For this project Pepe created a see through fireplace, using three EcoSmart Fire burners and toughened glass. 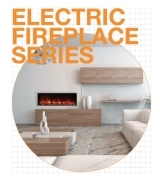 The fireplace is set into the wall with marble surrounds, and features a hearth made from frosted glass backlit with eco-friendly LED lights and strips of stainless steel. 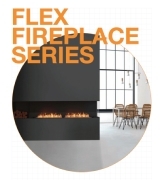 “It definitely elevated the design of the fireplace by making it even more modern, and offered the clients a special focal point that also happens to deliver great performance,” Pepe says. 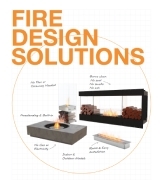 Pepe also values the simplicity of EcoSmart Fire design.